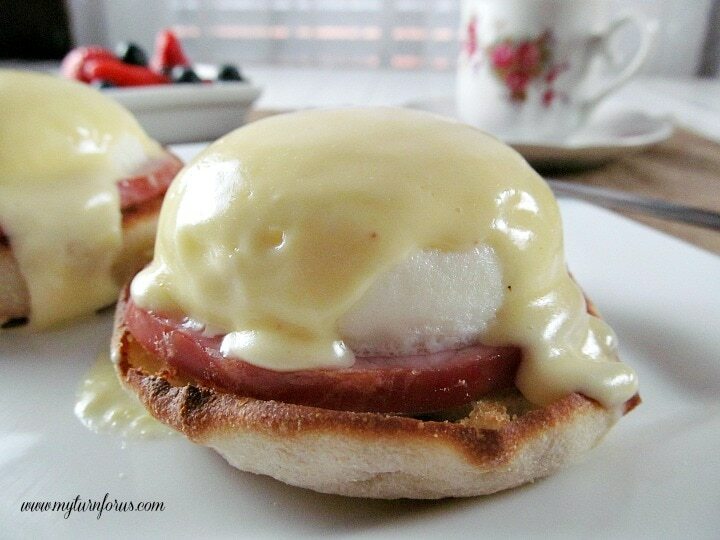 Did you know that Eggs Benedict with Hollandaise sauce can be quick and easy? This delectable breakfast of Eggs Benedict with Hollandaise Sauce takes less than 20 minutes and doesn’t leave you with a pile of dirty dishes. And we don’t wait until the end of the day to make the most of those special days like Valentine’s Day, Mother’s Day, Christmas Morning or celebrating a birthday or anniversary, we begin with a gourmet breakfast! What do we consider a gourmet meal, you ask. 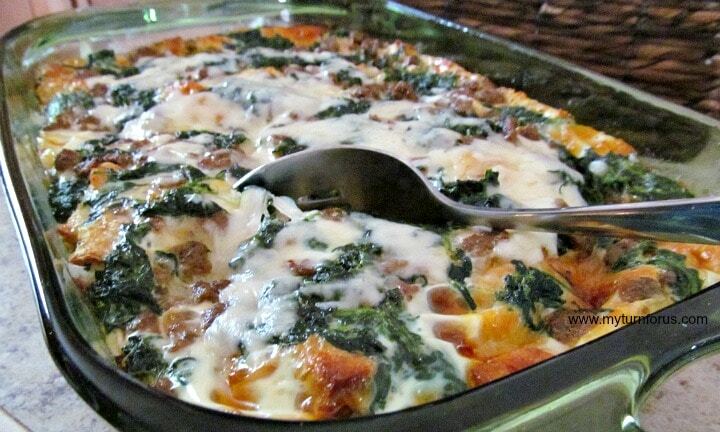 It can be different for everyone but to us, it’s a dish that is rich with several layers of flavor, a dish that we don’t indulge in that often, a dish we save for those special occasions since it’s richer than our normal fare. 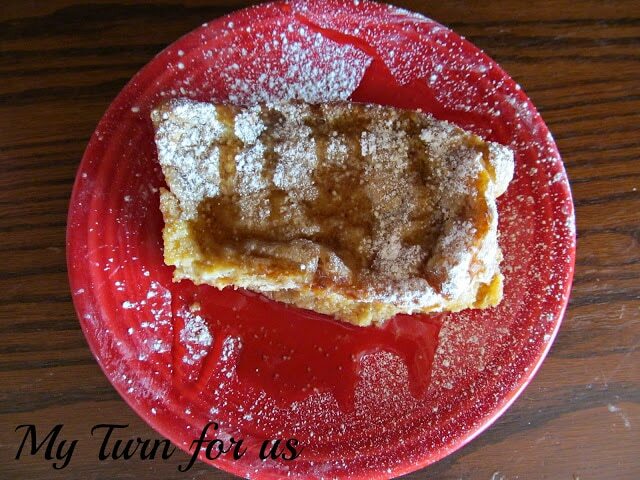 A dish that is reserved for celebrations and designed to make everyone feel extra special. But gourmet meals don’t have to be hard and time-consuming, for instance, this delectable breakfast of Eggs Benedict with Hollandaise Sauce did actually take less than 20 minutes. So go grab an egg poacher (seriously buy a good egg poacher, you will always be glad you did), a bowl that is microwave safe, a cooking sheet and a blender and we will show you how to make a Gourmet breakfast in just a few easy steps. 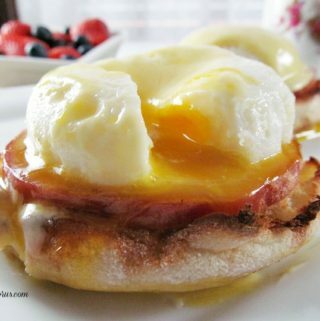 Or if you don’t like Hollandaise sauce, leave the blender and bowl in the cabinet and have poached eggs on thick Candian Bacon over perfectly toasted English muffins! 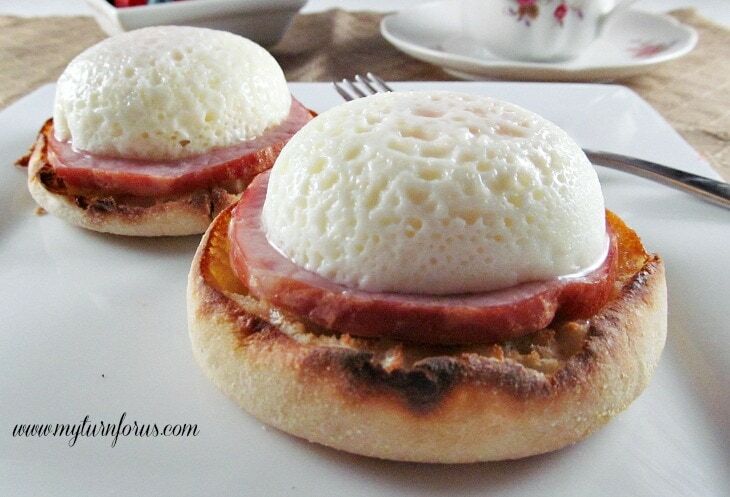 Now wouldn’t this make today very special if you were cutting into this delectable gourmet breakfast? Go for it, you certainly deserve it! 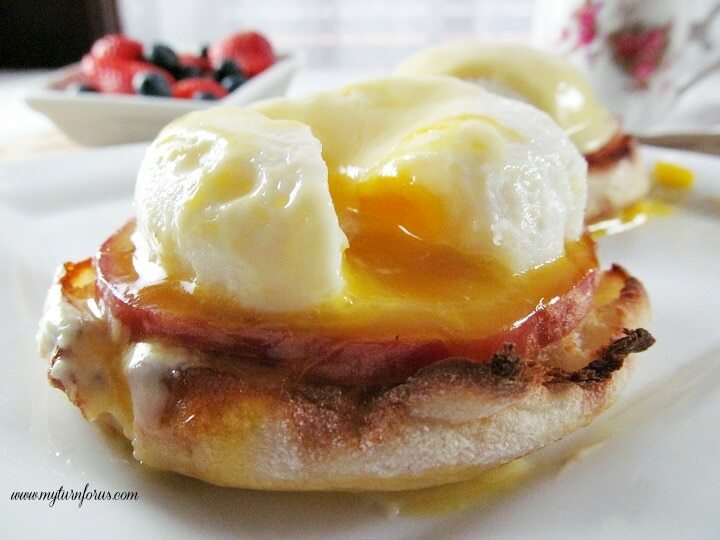 This delectable breakfast of Eggs Benedict with Hollandaise Sauce takes less than 20 minutes. 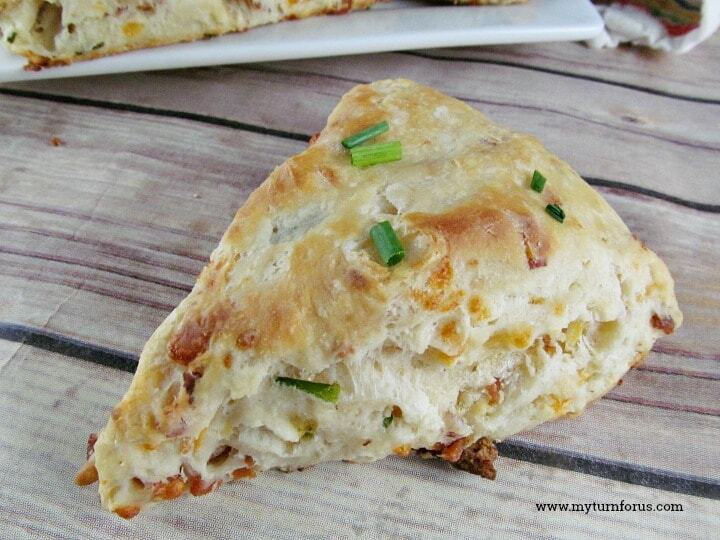 Separate the muffins into halves and place on one-half of a cooking sheet, butter the tops. Lay four pieces of Canadian Bacon on the other half of the cooking sheet. Broil until muffins are brown and toasted and Canadian bacon is hot. While eggs are cooking melt butter in the microwave until bubbling in a microwave safe dish, be careful not to over-cook. Add 3 egg yolks in a small blender, turn the blender on low and as the yolks combine, slowly pour in the hot melted butter, immediately add lemon juice and sprinkle cayenne pepper, if using. 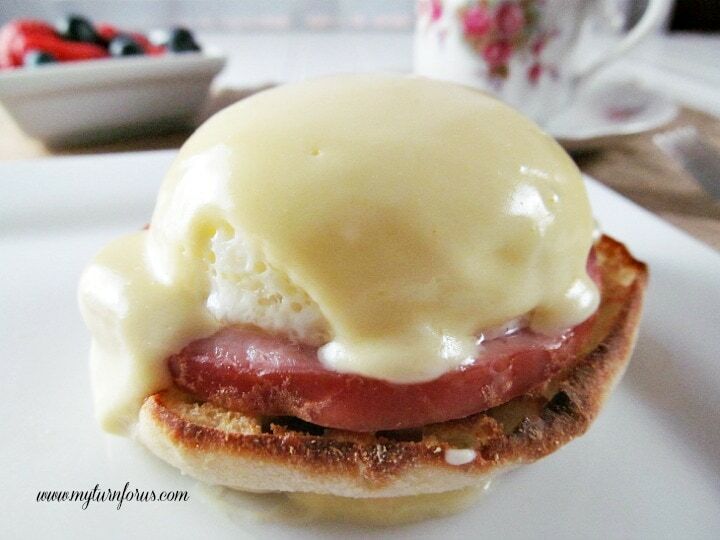 Assemble eggs Benedict by placing two muffin halves on each plate, lay Canadian bacon on top, carefully top with eggs and generously spoon the hollandaise sauce on top.